canines, orchids, fantastic women weekend events. Wes Anderson. 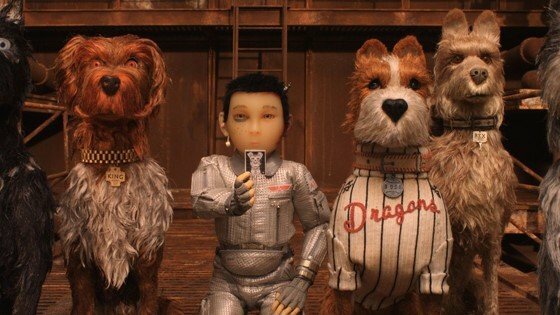 Wes Anderson’s delightful animated adventure Isle of Dogs opens and tells the story of Atari Kobayashi, a 12-year-old ward of corrupt Mayor Kobayashi. When exiled pet canines end up in a large garbage-dump, Atari sets off to Trash Island in search of his bodyguard-dog, Spots (Liev Schreiber). There, with the assistance of a pack of newfound mongrel friends (my life incarnate! ), he begins an epic journey that will decide the fate and future of the ideal. The movie also stars F. Murray Abraham, Bryan Cranston, Greta Gerwig, Jeff Goldblum, Akira Ito, Scarlett Johansson, Harvey Keitel, Frances McDormand, Bill Murray, Edward Norton, Yoko Ono, Tilda Swinton, Ken Watanabe, and Frank Wood. Starring Daniela Vega, the first transgendered Oscar presenter in history, comes A Fantastic Woman, the winner for Best Foreign Language Film. Marina is a young transgender waitress and aspiring singer. A story of Marina and Orlando, an older man, who are in love and planning for the future. After Orlando suddenly falls ill and dies, Marina is forced to confront his family and society, and to fight again to show them who she is: complex, strong, forthright, and fantastic. Join the Utah Orchid Society for a dazzling display of both familiar and exotic orchid varieties at Red Butte Garden. Society members will share methods for keeping plants healthy and happy and provide troubleshooting advice for budding orchid enthusiasts. A large selection of both plants and pottery will be on sale for those interested in starting their collection (as long as you don’t have cats). Get your queen on with fashion royalty Raja Gemini, and special guests Gia Bianca Stephens, Lilia Maughn, Molly Mormon, Xaina, and Ellissdee. Spinning will be deejays Hollister and Shutter. Bam! Join HRC to celebrate female identities within the LGBTQ community and the intersection of feminism with LGBTQ rights. Hear from three advocates making substantial contributions to the movement in Utah: Lisa Hansen, Encircle clinical director; Ermiya Fanaeian, transgender youth activist; and, Dr. Kristen Ries, the first doctor to provide treatment to HIV/AIDS patients in Utah. Double Bam! Squatters Pub, 147 W. Broadway, 1–3 p.m. Tickets $20/students with ID–$30/general, includes brunch and one drink.